Kindly noted:this not support win8/mac/PowerPoint/TXT,please ask us more question before you order it. 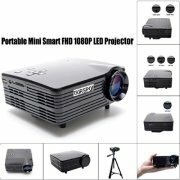 -OURSPOP portable mini projector is mini-sized, lightweight, and easily portable. If Get any quality issue,Please contact us first before you directly go complain it.we will be glad to support and solve it FAST for you!